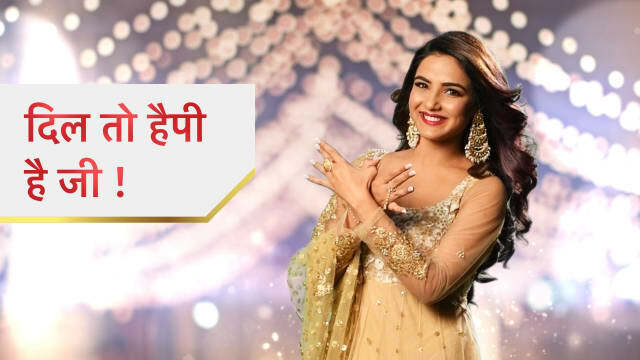 Star Plus’ new show Dil Toh Happy Hai Ji stars Jasmin Bhasin in the lead role of Happy. The story revolves around Happy and her tough journey. Happy has lost her father at an early age. She stays with her mother at her uncle’s house. She aims to find a job for herself by which she can fulfill her mother’s dreams. Happy wants to make it big some day. Happy’s take on her life’s difficulties is interesting. She isn’t appreciated by her uncle much. The show also presents a love triangle between Rocky, Happy and Chintu. Ansh Bagri and Aru K Verma play the two brothers Rocky and Chintu, who would be falling for the same girl Happy. Happy is really like her name, a happy soul. She finds happiness in every bad situation. She is a simple, sweet and positive girl who hasn’t learnt to lose. She is very cheerful and encouraging. She knows her responsibilities towards her family. She wants to change the lives of her mother and sister. Happy lives at the mercy of her uncle. She doesn’t want to compromise with her self-esteem. She gets fearless when it comes to her family’s protection. She wishes that some day their time changes for the good. Happy is determined, bold and smart. She holds the courage to tag the wrong by going against the world. Happy is unique in her own way. Rocky is Chintu’s brother. Rocky is a person with tons of swag and style. He is much adored for his looks. He is very much opposite to his elder brother Chintu. He is mean, arrogant and hot-tempered. He doesn’t care for his family. He is often taunted by his father, whom he hates the most. He isn’t a responsible guy to support the family. He is proud of his richness. He is close to Chintu and respects him much. Rocky looks evil to Happy, but has a good heart hidden behind his rudeness. He can go to any extent for the person he loves. He gets emotional at times. He only does the things he wants. 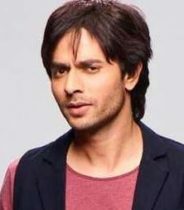 Aru K Verma as Chintu. The show brings a high drama track of Dinky’s marriage. Dinky is Happy’s cousin. Happy is happy for Dinky stepping into a new life. 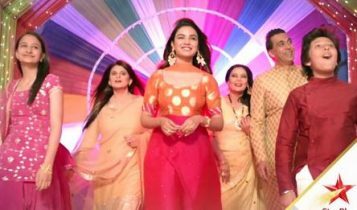 She wants to participate in the marriage arrangements heartily, but her uncle Pratap makes her participation appear like a task. He gives many duties to Happy and burdens her with work load. He counts his favors on Happy and her family, since he is supporting them financially since the death of his brother. Happy lost her father long time back and faced a tough childhood. Happy still manages to keep her mother Sandhya and sister Smiley happy. She stays positive at all times. She doesn’t let them feel low. She dances her heart out in Dinky’s Sangeet function. Happy knows that she isn’t good at dancing. She doesn’t want to get under any pressure of expectations. She dances much and falls on the stage, which makes Pratap feel insulted. Happy changes the moment by cracking some jokes. Her antics makes Chintu happy. Chintu finds her very different. He gets impressed with her. He also gets mesmerized with Happy’s beauty. Pratap isn’t happy with Happy. He complains about Happy. He wants Happy and her family to live separately after Dinky’s marriage gets done. He is fed up bearing the responsibility of his brother’s family. Happy feels much sad, but doesn’t let her family turn sad. She takes Pratap’s warning lightly. Happy gets ahead with the marriage preparations. She arranges a bachelorette party for Dinky. She hides from Pratap and takes his car. Happy comes across a spoilt brat Rocky, who breaks her car’s mirror. Happy gets into a verbal fight with Rocky. She seeks the help of police to complain about Rocky. Rocky tells her that even police can’t stop him. He takes a move in anger. He ruins Happy’s car. He also ruins Happy’s smile and confidence by the shocking incident. Happy gets worried for Pratap’s reaction over the car’s damage. Happy learns Chintu and Rocky’s relation. When the situation turns worse, Happy slaps Rocky. 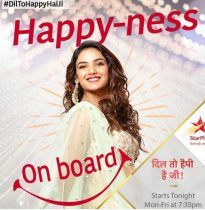 Chintu steps ahead to support Happy. Dil Toh Happy Hai Ji brings a light take on Happy’s not-so-little problems. The show makes a decent start. It has all the elements of a good family drama. 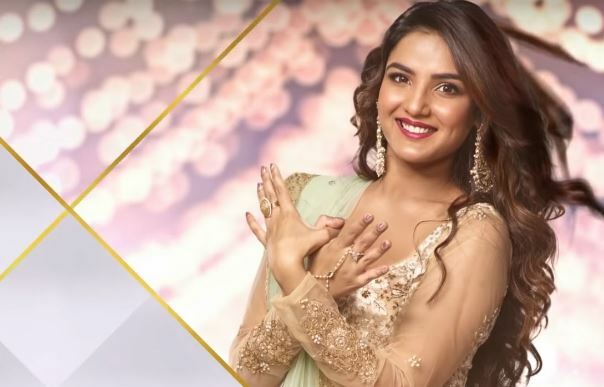 The show’s lead Jasmin Bhasin owns it completely. She makes the character of Happy look effortless. 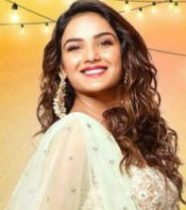 Jasmin looks innocent, fresh and charming. One doesn’t get bored watching Happy’s unique take on the situational drama. The other leads Ansh Bagri and Aru K Verma are also well-cast for the distinct roles. Aruna Irani plays an old widow in the show. Supporting cast is good. Happy’s dialogues are sensible, funny and thought-provoking. The story gets intriguing with each episode. The characterization differences between Chintu and Rocky is worth watching. They share a strong bond. The brotherly love will be tested when the love triangle begins. The show brings good detailing in almost every character, be it Happy’s uncle Pratap, or Happy’s mother Sandhya. Chintu’s dad and Biji are also seen sharing their health issues. The focus gets evenly divided among all the characters, which brings a natural appeal. Good costumes, backdrop of a Punjabi wedding, musical scores and visuals, make the show a good watch. The show is a good entertainer. It brings an inspiring tale of Happy. Happy just believes in spreading positive vibes. The show should hopefully sustain its charm.